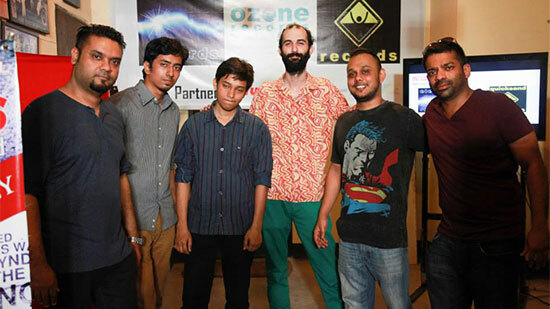 Since the formation of Dhaka Electronica Scene almost 4 years ago, the community has grown exponentially meeting all of its original as well as extended goals. Now, there are close to ten record labels and artist collectives including: Akaliko Records, Kaaktalio, Polychrome Collective, Electro, HTM Records, RIOT, and Club Electronica with the promise of plenty more popping up over the next few years. These initiatives seem to share a similar ethos, taking the flame forward and creating more opportunities through more music releases as compilations and collaborations, conducting workshops for anyone enthusiastic, and hosting more live performances whenever possible. So, if you are someone in Dhaka who happens to be clueless about your interest for electronic music – just reach out to any of them through social media. While they may have different influences, styles and ways of doing what they do, the one thing that they all have in common is that they are very welcoming! Rooftop venue Jatra Biroti managed by Grammy winner (with Ike Turner) Seth Panduranga Blumberg, have been hosting their flagship ‘Jatratronica’ event series in addition to their regular blues nights (or The Speakeasy) which not only encourages electronic music to fuse with folk and other forms of music but also accommodates artists who don’t strictly fall within this domain. This venue alone has uplifted independent artists across many genres in Dhaka because of its weekend shows. A few more friendly venues will set the scene strong. As the electronic music community started to grow and producers became more confident, the volume of creative output increased. Music compilations were no longer able to accommodate the varying styles and also the number of tracks (the DES/Akaliko compilations were released every 8 to 9 months which is a pretty long time). The solution came in the form of Planet Electronica, a 2 hour bi-weekly show every alternate Monday from 9 to 11pm on Colours FM powered by DES. There are now plans to convert it into a weekly show so that it can broadcast live DJ and electronic sets. 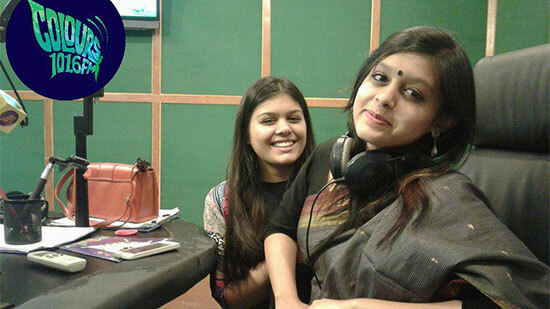 Planet Electronica is designed to be the first radio show on Bangladeshi FM commercial station dedicated to promote local electronic music producers. While this is not the first show dedicated to electronic music in the city, it is the only one that is nurturing and supporting local sounds. Planet Electronica, now 19 episodes old is yet another DIY attempt to put together individual contributions into a single package. Planet Electronica has an amazing host in Maliha Mohsin who besides being an electronic music enthusiast is also a writer and journalist. After weeks of practicing and voice tests, the show launched with the personal support of Nazim Farhan Chowdhury of Adcomm, the radio station’s CEO and one of Dhaka’s advertising moguls. 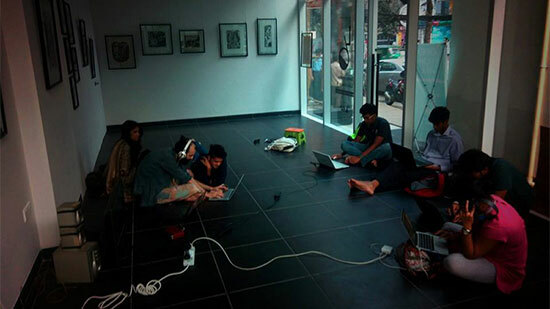 While everything seems to fit into place with each small project, the collective effort is helping the transition of Dhaka’s audio visual modernity. Believe that we can work out a road map for a sustainable industry. Yes we can hope to get more support from the thriving Indian and regional scene and support them as well. 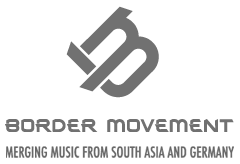 Yes we can hope to see a Bangladeshi artist debut at one of the festivals including Magnetic Fields among others! DJs support your local artists by dropping their tracks (when it fits your style). Meanwhile we should be exploring new domains for music producers to participate in more varied forms of work, generating income from different revenue streams to continue doing what they love doing the most. It’s actually already happening. Yes we can experiment more with sounds and methods of production. Yes, it’s possible for any Bangladeshi artist to make an impact with originality. As more talent emerges from other Bangladeshi cities including Chittagong, Gazipur, Khulna, the future looks positive indeed. Support your local talent! Given all that’s happening in the city right now, it’s an exciting time for city dwellers to experience new sounds, new artists and be part of the collaborative community. Keep an eye on the above mentioned community pages and you will find something or other happening every now and then. The passes are affordable enough for everyone as well. 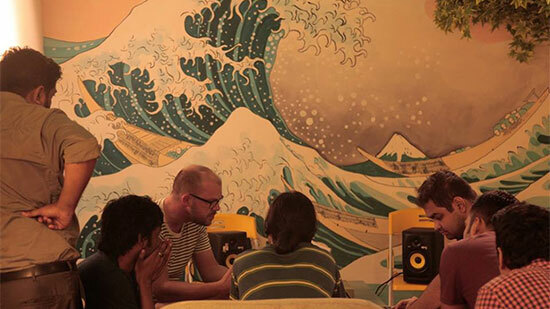 Khan Mohammad Faisal is the co-founder/curator of Dhaka Electronica Scene and the founder of Akaliko Records. He also makes music once in a while as The B Regiment.